Music Note Baby Booties – Babies need music too! 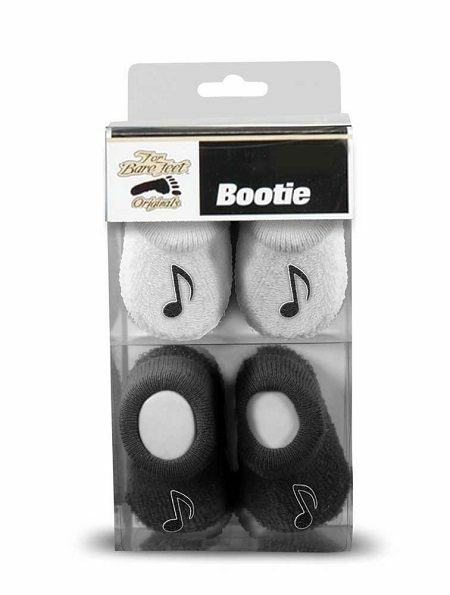 Introduce them to music while they’re young with their very own music note booties! These are absolutely adorable and will keep those tiny feet warm! The perfect music gift for a musician friend who is expecting. Two pairs of black and white come in a set. Ages 3-6 months.